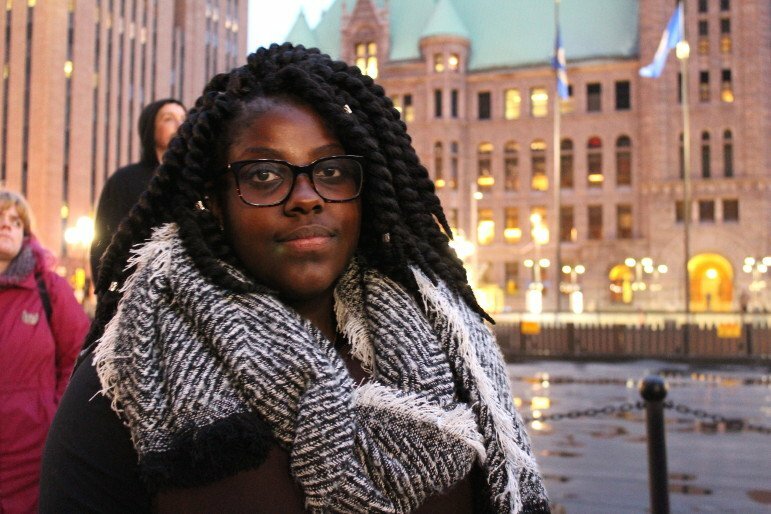 Marching from Elliot Park and the corner of James and Plymouth avenues, hundreds of protesters descended upon the Hennepin County Government Center to peacefully protest Mike Freeman's decision to not prosecute the officers involved in the death of Jamar Clark. Photo by Cristeta Boarini. An outpouring of emotions came forth from the Twin Cities community as Hennepin County Attorney Mike Freeman announced he would not prosecute Minneapolis Police Officers Mark Ringgenberg and Dustin Schwarze for the shooting of Jamar Clark on Nov. 15, 2015. Not only were people feeling upset, enraged, frustrated, distraught (and so much more) over the injustice of the decision, but they were upset with the way Freeman presented the information that backed up his decision. You can watch Freeman’s full March 30 press conference here, and you can read through all the reports and evidence Freeman’s office released related to the Jamar Clark case here. From social media, to politicians, nonprofits and the people on the ground at the protests, here’s what they had to say. Like many of you, a few hours ago I listened intently as Hennepin County Attorney Mike Freeman presented his findings on the Jamar Clark case. It wasn’t long before I became disheartened by a series of his comments which clearly and unfairly criminalized Mr. Clark’s last minutes of breath to justify the shooting of yet another young, unarmed Black man. I stand with the community as I share that I’m appalled and disturbed by the County Attorney’s decision to not move forward with an indictment of the Minneapolis Police officers who fatally shot Jamar Clark in North Minneapolis on November 15, 2015. I know that there are many people who knew and loved Jamar who are hurting and my heart goes out to them. 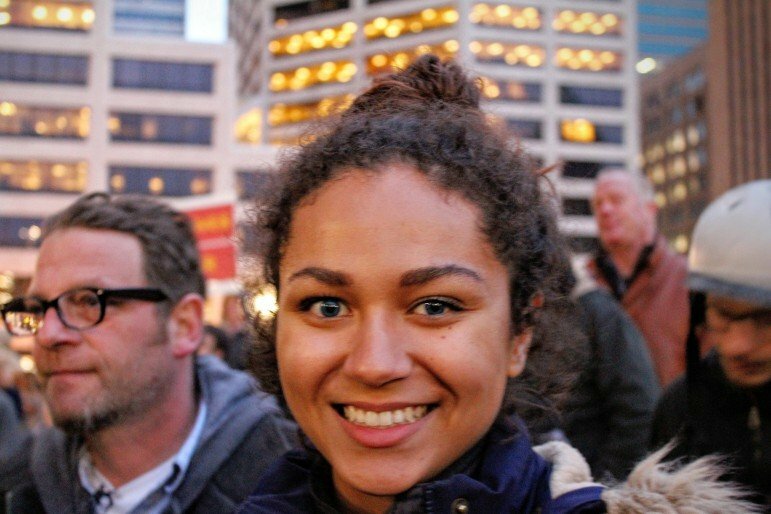 As a mother, I am thinking particularly of Jamar Clark’s family. While I can appreciate the time and effort devoted to the analysis of the available evidence by the Minneapolis Police Department, the Bureau of Criminal Apprehension, the Hennepin County Attorney’s Office and the Federal Bureau of Investigation, I do not believe police officers had justifiable reasons to use deadly force to shoot an unarmed, reportedly restrained young man in the head within 61 seconds of arriving on the scene. 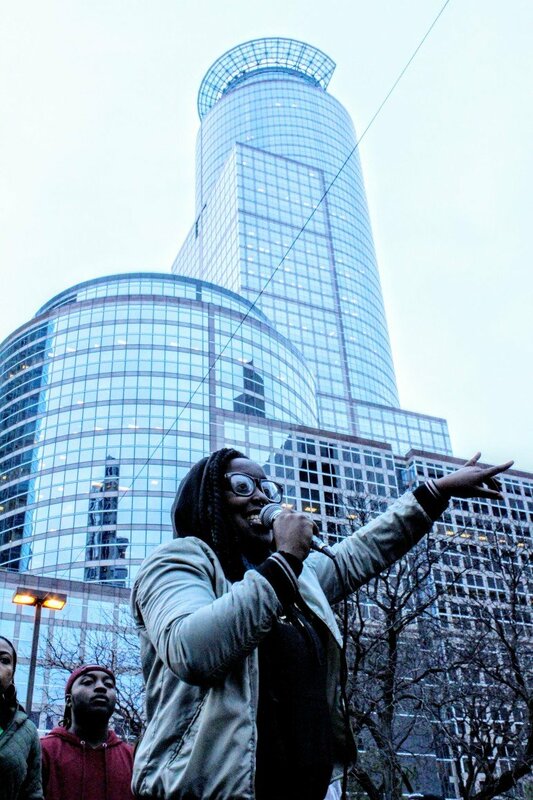 I want to thank the community for their bravery in continuing to stay engaged in the struggle for Justice for Jamar despite criticism, political pressure, and shocking white supremacist violence. Make no mistake, your courageous actions and voices from the Fourth Precinct to Freeman Fridays prevented this case from being sent to the archaic Grand Jury system. I believe your continued demand for accountability will help us abolish the Grand Jury process all together one day for our County and our State. County Attorney Mike Freeman’s account of his refusal to charge officers Mark Ringgenberg and Dustin Schwarze relies heavily on the testimony of officers Ringgenberg and Schwarze themselves, taking their testimony as gospel truth; disregards witness testimony, inconsistencies within the police account, and video evidence of police aggression; and uses dog-whistle language to describe the officers’ fear of a 24-year-old black man. The officers’ accounts of the interaction with Clark, as quoted by Freeman this morning, are full of dog-whistle language: that he had a “thousand yard stare,” that he was “fidgeting,” criminalizing the fact that his hands were in his pocket as reasons to use force against him. Despite a lack of conclusive evidence beyond the officers’ testimony, Freeman frequently repeated the officers’ reports that Clark said he was “ready to die,” implying he was asking the officers to shoot him. Further, it is remarkable that although this entire interaction happened with Ringgenberg sitting on top of Jamar Clark, the officers’ “de-escalation” response was to shoot him in the head. Fidgeting, having one’s hands in one’s pockets, and staring off into space are not criminal offenses. These are the reasons the officers gave for escalating so violently and immediately upon encountering Jamar Clark. This is the same language used to criminalize young black men in everything from low-level arrests to fatal police shootings all over the country. Looking forward, Freeman’s decision is not the end of the Jamar Clark case. A federal investigation is still ongoing. Once that investigation has been completed, the Justice Department’s Civil Rights division and U.S. Attorney’s Office will determine whether the federal government will bring any charges. When that federal process concludes, the Minneapolis Police Department will continue its internal affairs process. The Minneapolis Police Department will not make any decisions on discipline until the conclusion of the federal investigation and the department has thoroughly reviewed all available evidence from the independent investigations. 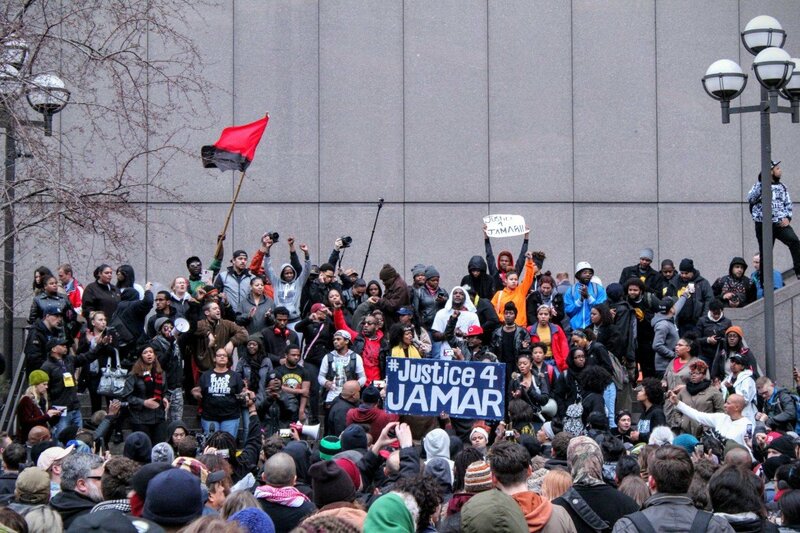 The Twin Cities Coalition for Justice for Jamar will continue to hold its weekly Friday protests at noon at the Hennepin County Government Center. Rep. Kelly Fenton (R-Woodbury) has put forth a bill that would eliminate SNAP benefits (commonly called “food stamps”) for regions that do not meet federal employment requirements. As of now, 29 counties and 12 American Indian reservations are exempt from the work requirement, and these numbers could go down with the new bill, impacting Native and rural populations most.